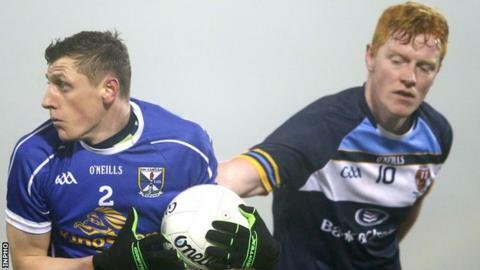 Cavan made it two wins from two in Section C of the Dr McKenna Cup with a comfortable 3-14 to 0-9 victory over Ulster University on Saturday. The senior side built a commanding lead in the first half thanks to two goals by Paul O'Connor and one from Enda Henry who lobbed UUJ keeper Sean Fox. Cavan were without the suspended David Givney, Joshua Hayes and Killian Brady who were sent-off against Armagh. UUJ had beaten Monaghan in their opening game of the competition. Kieran Hughes, Ruairi McGlone and Caolan o'Boyle were among the scorers for UUJ in Saturday night's game. Cavan half-back Niall Murray was named man of the match. The students will finish their Section C campaign away to Armagh on Wednesday night while Cavan host Monaghan at Breffni Park.